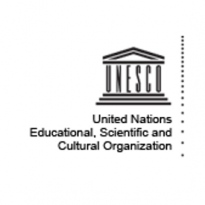 UNESCO is the lead agency for the Global Action Programme on ESD that was launched at the end of the UN Decade of Education for Sustainable Development (UN-DESD 2005-2014), at the World Conference on ESD in Nagoya, Japan, in 2014. The Global Action Programme (GAP) on Education for Sustainable Development (ESD) seeks to generate and scale-up concrete actions in ESD. It is intended to make a substantial contribution to the post-2015 agenda. The GAP is the follow up to the United Nations Decade of Education for Sustainable Development (2005-2014). IAU fully supported and contributed to the UN DESD and is now a key partner network to the UNESCO GAP on ESD. The ESD Section acts as the Secretariat for the GAP. It offers coordination support to Member States, National Commissions, stakeholders, UNESCO programme and thematic areas, and UNESCO Field Offices while helping to ensure the coherence of organization-wide activities. Additionally, UNESCO convenes several ad hoc groups to participate in the implementation of the GAP including the partner networks. International Association of Universities is a key partner Network to Priority Action Area 2: Transforming learning and training environments. Through its actions, initiatives and in particular through the creation of the IAU Global Portal on Higher Education and Research for Sustainable Development (www.iau-hesd.net) IAU contributes to scaling up action and initiatives developed by higher education institutions, organisations and HE stakeholders from around the world in response to the 2030 Development Agenda and the 17 Sustainable Development Goals. 2015 - Rethinking education : towards a global common good?